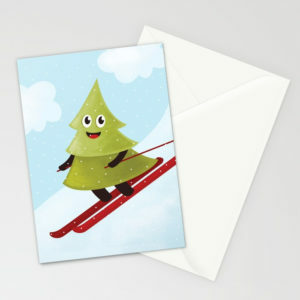 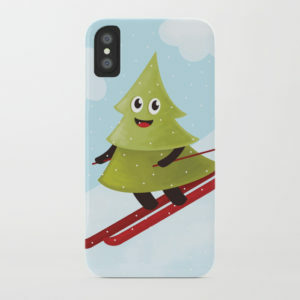 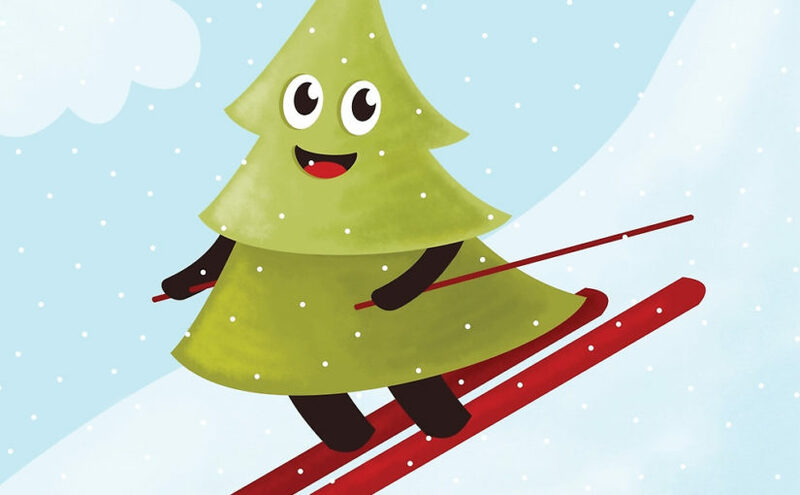 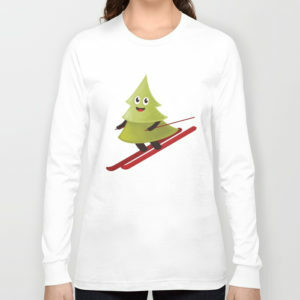 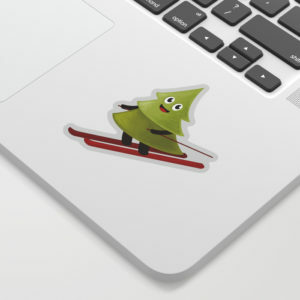 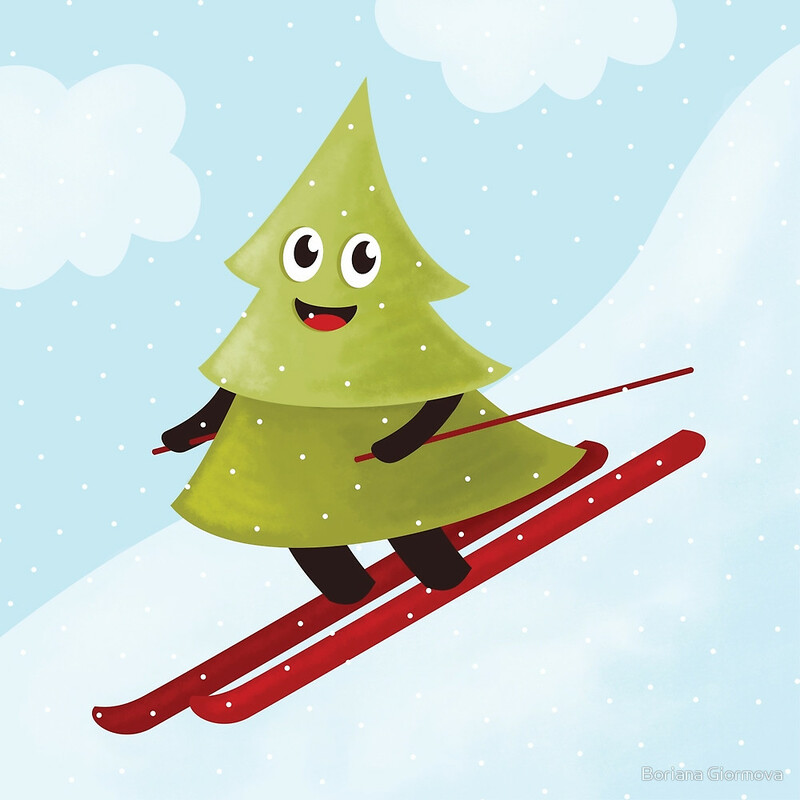 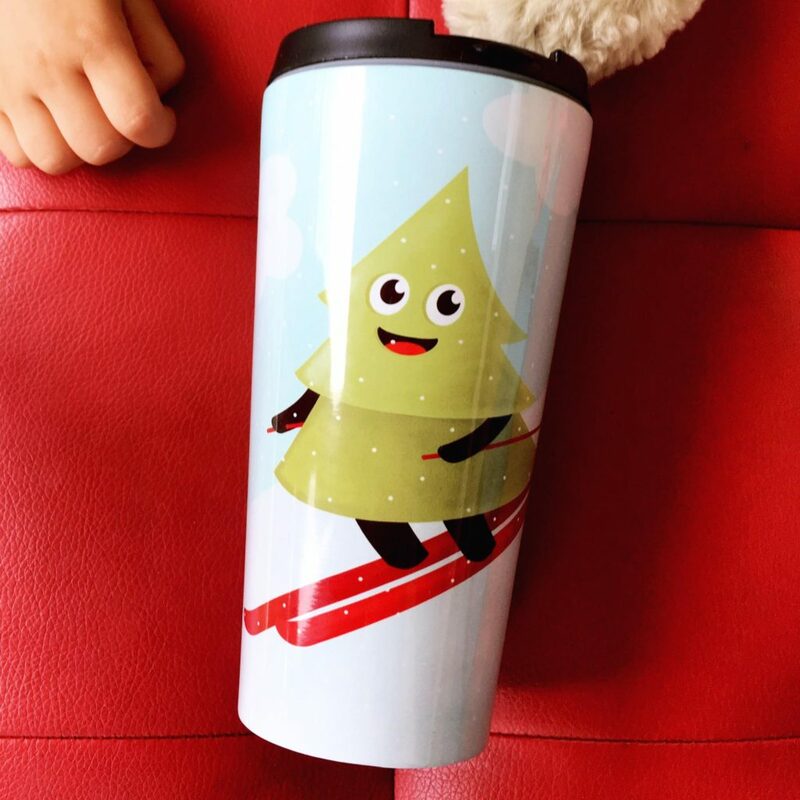 This pine tree on ski illustration shows a happy tree character downhill skiing on its lovely red ski in the snowy mountain. 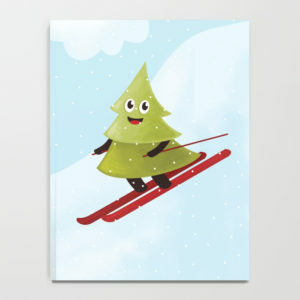 This textured vector artwork reminds of winter fun. 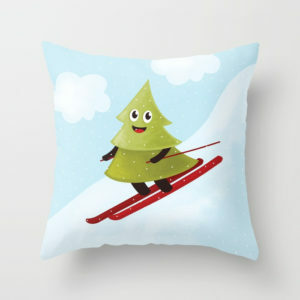 The products with it make good gifts for a skier and someone who likes winter sports. 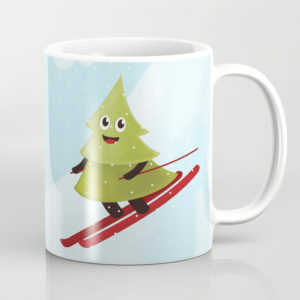 You can get art prints from my Redbubble and society6 store. 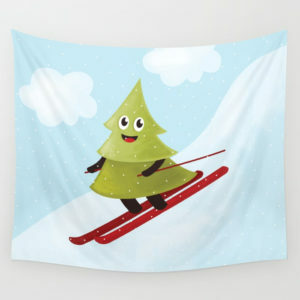 Lastly, you can find products with this winter design at my Zazzle, Fine Art America, Tostadora, Teepublic stores.